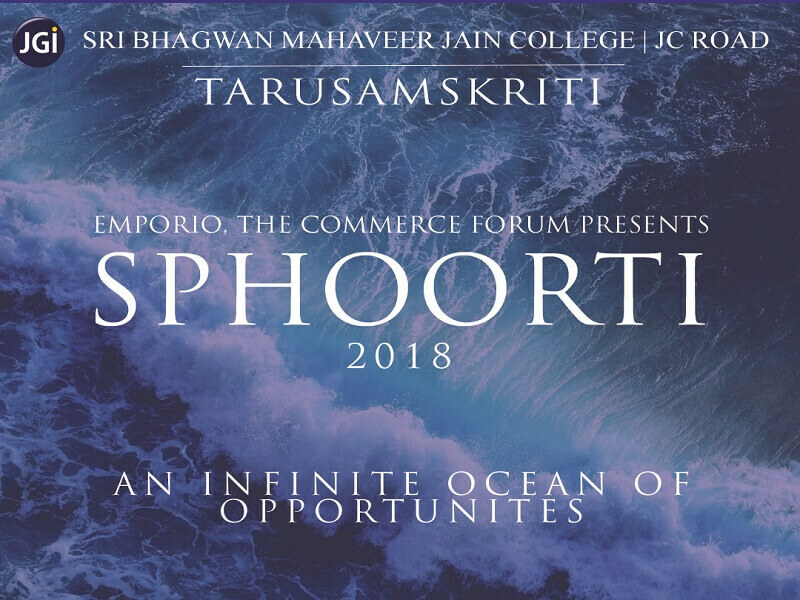 The Commerce Forum- Emporio of Jain College, J.C. Road will be organizing Intercollegiate Commerce Fest - Sphoorti 2018 “An Infinite Ocean of Opportunites” on the 6 and 7 of September 2018. Sphoorti puts decision making, organization and entrepreneur skills to test. Besides being a critical part of a student's life, the fest provides the opportunity to assist their proficiency in planning and execution. It is an outrageous platform to encourage students to take up the quest to explore the enormous opportunities that the field of commerce provides. This fest is a colossal fest taking you through the humongous ocean of commerce with an exhilarating theme of “An Infinite Ocean of Opportunites”.